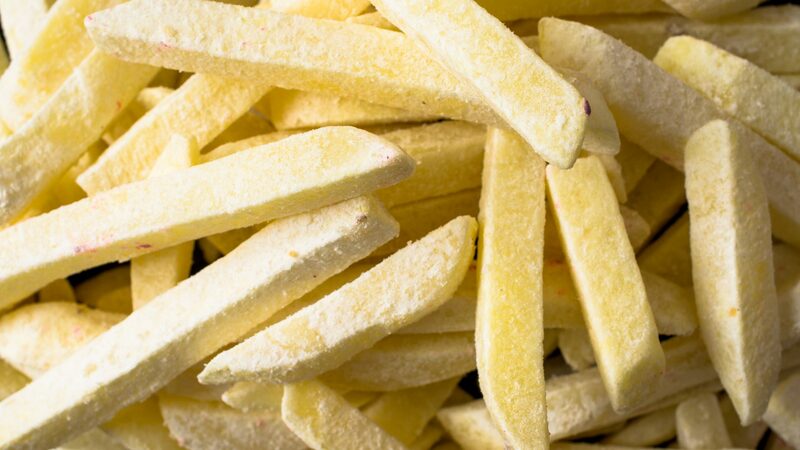 Baked or fried products discharged from an oven or deep-fryer will inevitably be covered with some residual oil or fat. 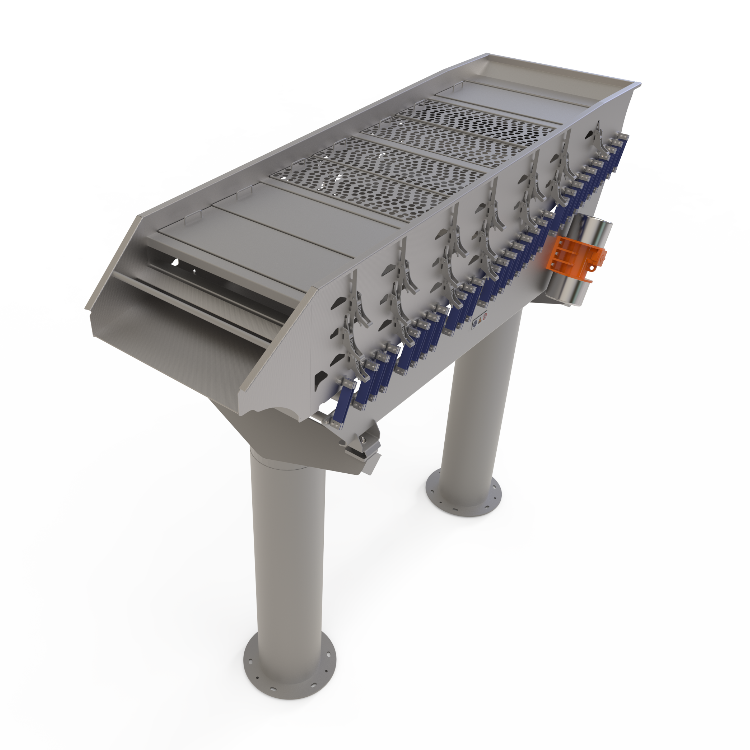 A vibration conveyor with heat tracing from FoodeQ can eliminate surplus oil or fat from the product while it is being conveyed to the next station. An important extra benefit of this heat tracing vibratory technique is that the recovered oil or fat can be reused in the baking or frying process. 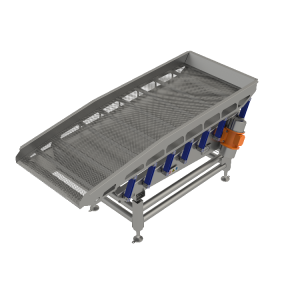 This saves on production costs while at the same time reducing the ecological footprint of the production process, for a healthier product. 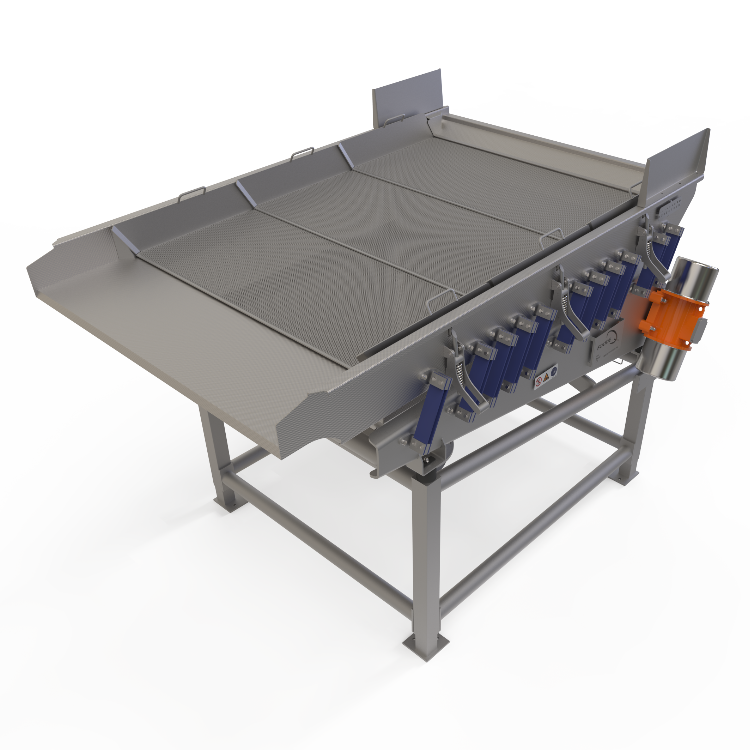 Defatting conveyors can be used to remove oil and fat from all fried products. 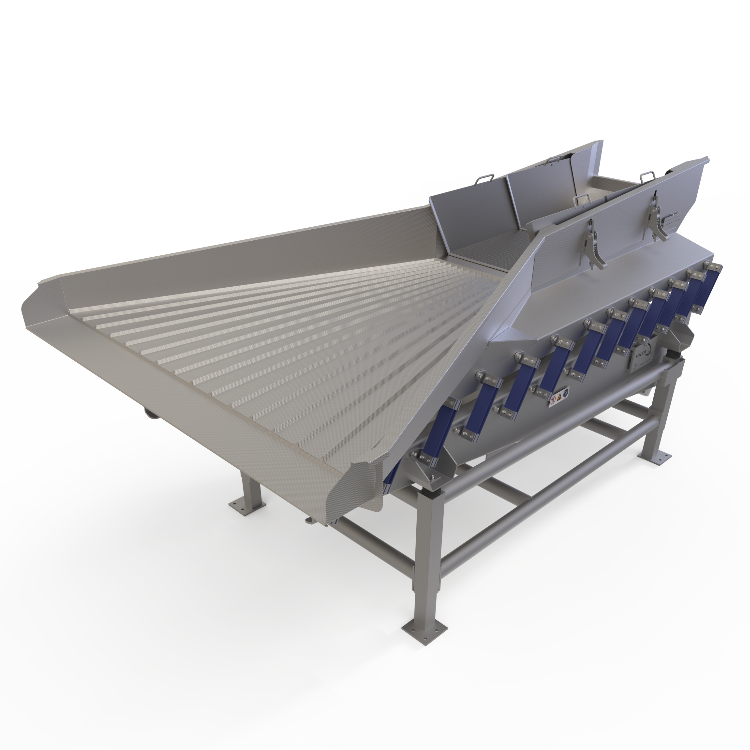 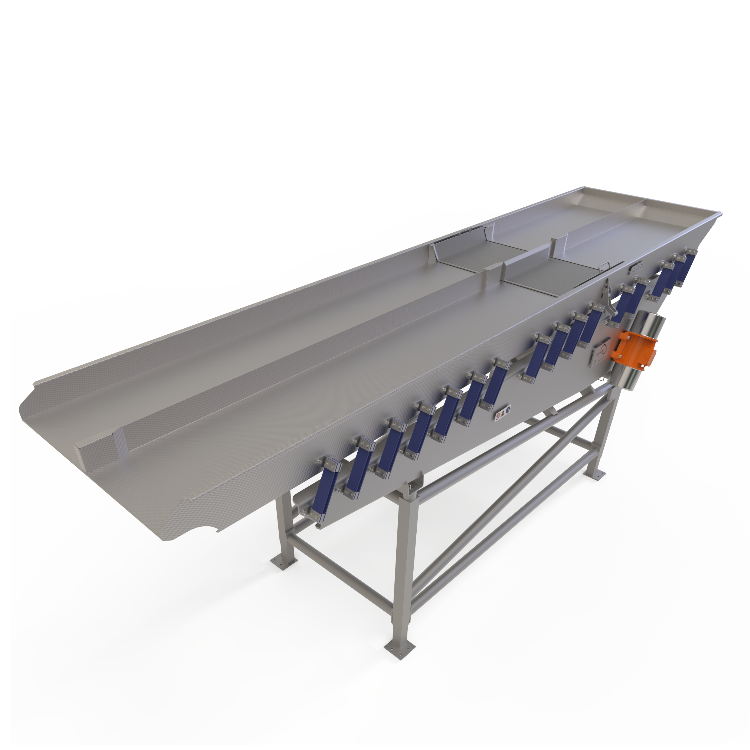 For more information, please contact our sales department, or see below some of the defatting conveyors with vibratory technology developed by FoodeQ. 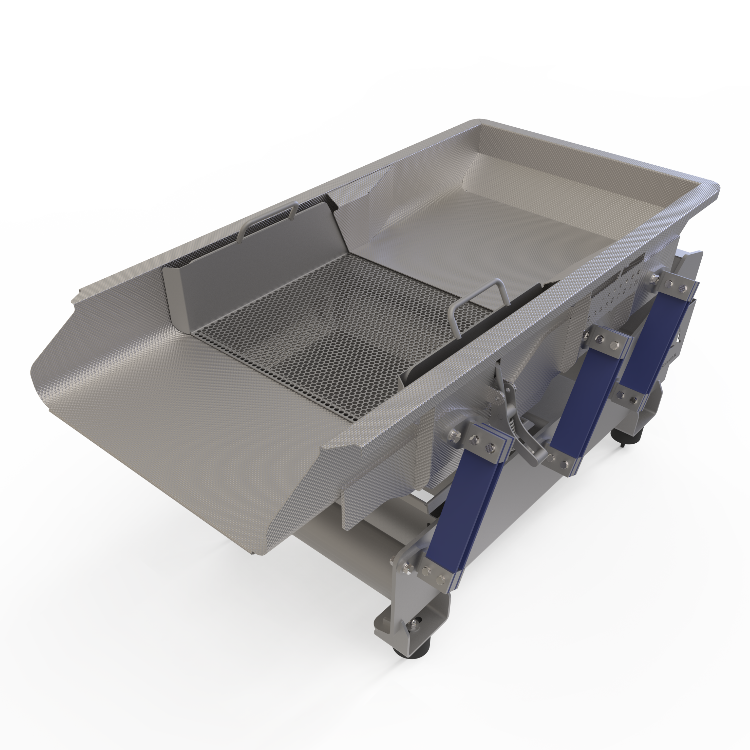 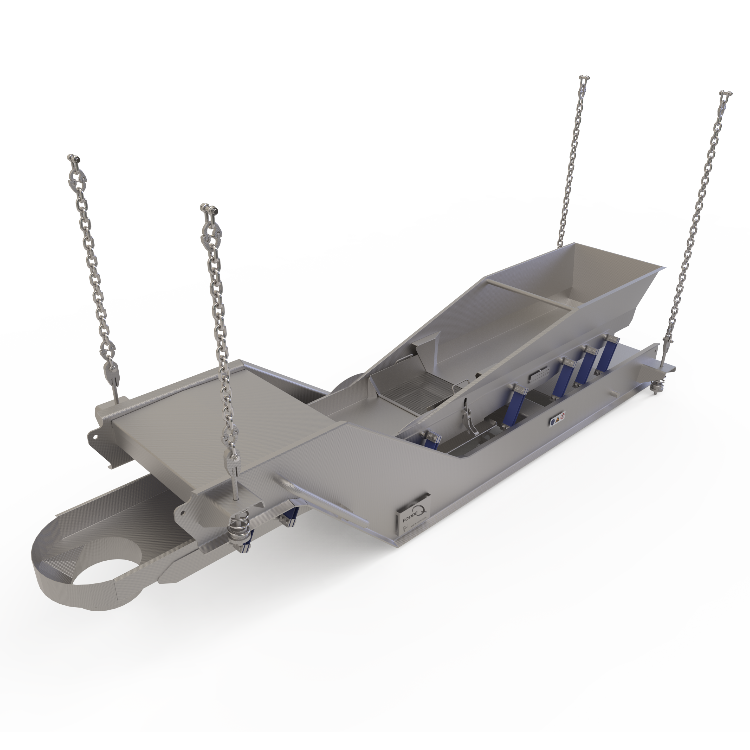 We build span sieve shakers in all shapes and sizes as distribution feed for the rest of the line of machinery like (optical) sorting machines, dryers and tunnel freezers.